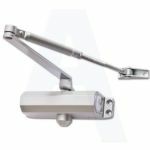 Ryobi Powersprint 8803 Size 3 Overhead Door Closer With Adjustable Latch Action. 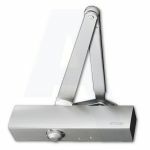 Ryobi D1200 Size 2-4 Overhead Door Closer With Backcheck & Adjustable Latch Action. 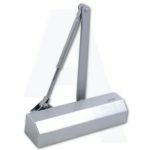 Ryobi Powerglide 1553 Size 3 Overhead Door Closer With Backcheck & Adjustable Latch Action.